Tuberculosis screening. 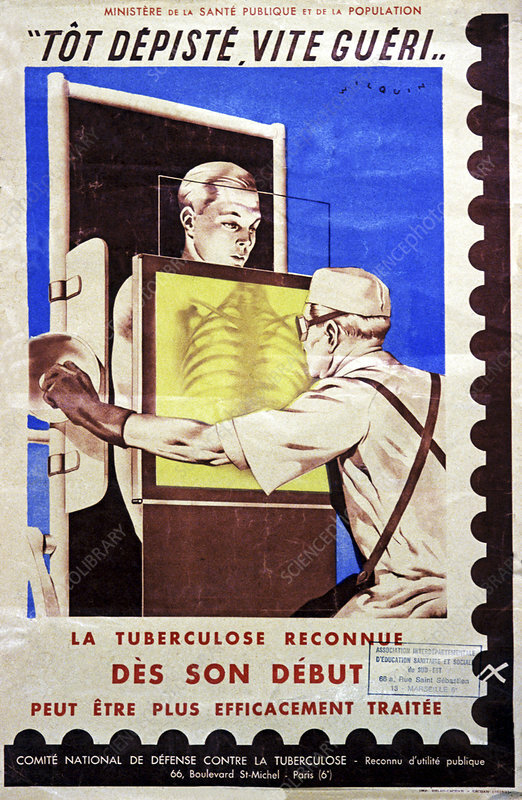 Historical poster of a patient undergoing a chest X-ray during a tuberculosis screening program. Image by Wilquin, France, circa 1935.